A space for the North Braddock community to swing, slide, climb, and sit using a readily available and free resource: brick. 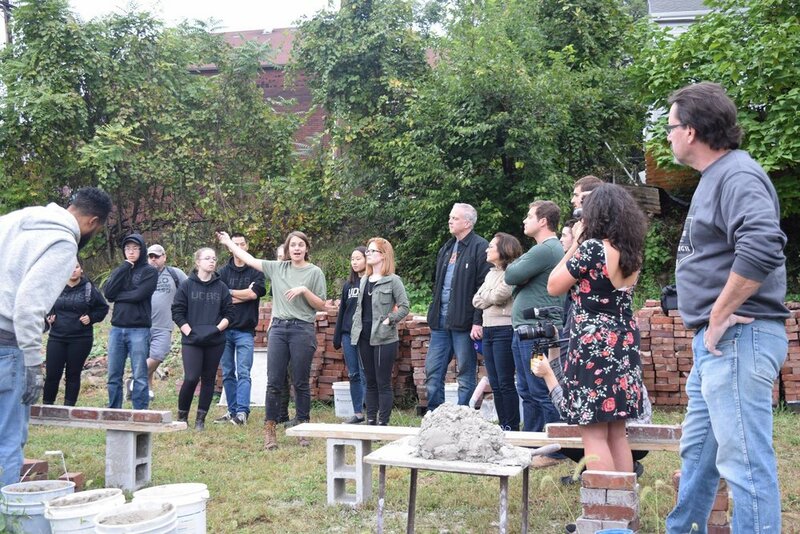 The Carnegie Museum of Art's Heinz Architectural Center (HAC) and Al Borde of Quito, Equador, began working with the North Braddock community to revitalize a small park using free and available materials in the neighborhood, such as pallets, tires, and bricks. The project began with a series of interactive workshops with neighborhood youth, community organizations, and local architects. Based on community feedback, Al Borde designed a framework for the park. HAC's Building Optimism: Public Space in South America exhibit showcases the work invested thus far on RECYCLE PARK and asks visitors to leave feedback about the design as a way of increasing public participation in the process. The UDBS and Trade Institute of Pittsburgh (TIP) were invited by HAC and Al Borde to help advance the RECYCLE PARK design by exploring brick playground elements that could help achieve the community's goals of having areas to swing, slide, climb, and sit in the park. 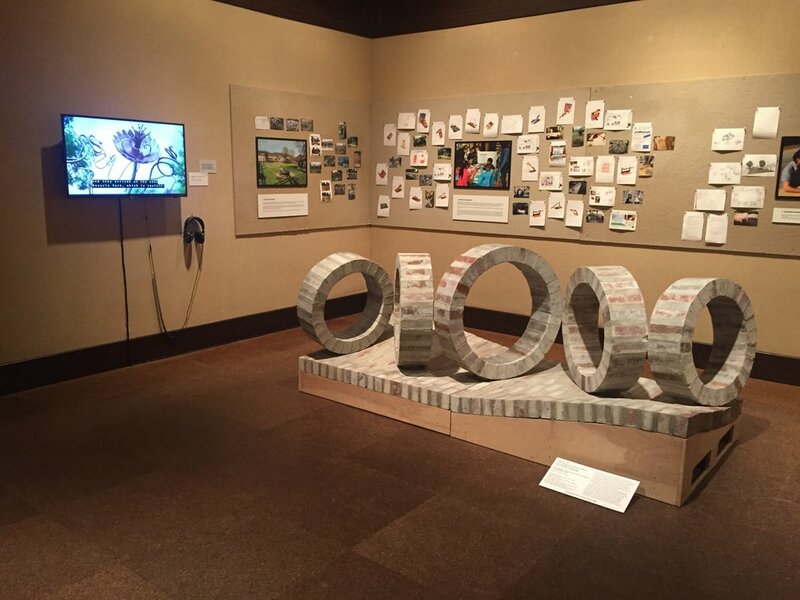 Through a series of work sessions, the UDBS and TIP designed a masonry prototype, titled UNCOMMON, that was constructed by TIP apprentices and installed as part of the Building Optimism exhibit. 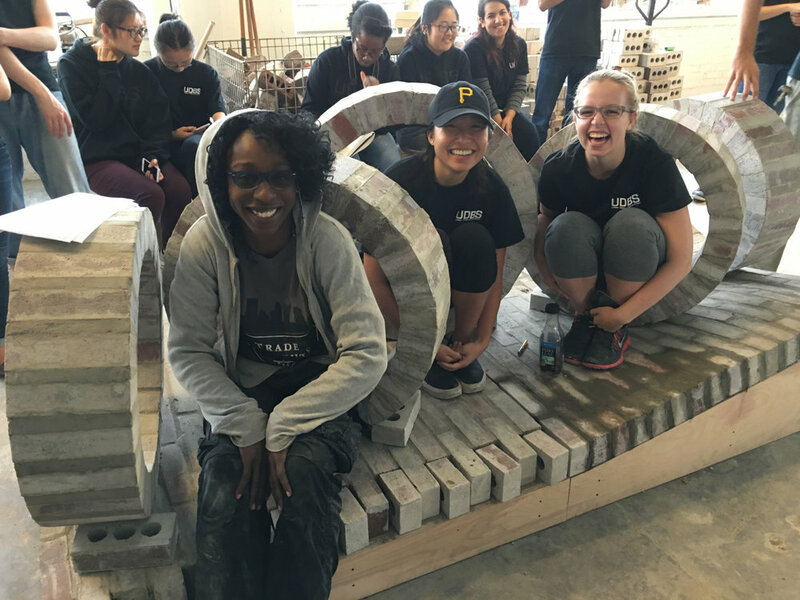 Based on the lessons learned from the masonry prototype, UDBS students developed a kit of parts that could be built to activate RECYCLE PARK. The IDeATe/Reality Computing team created a virtual reality experience that changes as park elements are arranged and rearranged in a scale physical model. The virtual reality experience and model will be used to obtain community feedback on the placement and success of the playground elements before advancing the park design.